The welcome is as warm as the winds – a charming, young French couple, Laure Elizere and Chef Terence Trouyet, wave from the tiny dock and greet guests in the beach bar – there is no lobby. The boat gliding away seems to take any stress with it – your sunset view from dinner, now unimpeded, is a crystal clear lagoon (which Elizere describes as ‘Vahine’s natural swimming pool’) and the green mountains of Taha’a’s vanilla island in the near distance – from which Trouyet, who is cooking for a maximum of 18 guests each night – secures the natural ingredients for the astonishing, three course, prix fixe gastronomy he serves. Smoked marlin and eggplant caviar with fresh goat cheese; crusted mahi mahi with Provencal ratatouille with baby squid tempura; and home made coconut sorbet is one evening’s example. Beautiful presentations of duck breast; red tuna tataki with seaweed salad; and Baked Alaska are also in the weekly repertoire of Trouyet, who specializes in risotto. He previously served as sous chef to Michelin-starred Chef Philippe Jego in the south of France. “My dishes first must please with the eyes,” says Trouyet, who realizes his creations compete with the eye-popping, sensory- stimulating surroundings which make guests feel like they are living in work of art – whether they’re swimming, snorkeling or sleeping in a hammock. 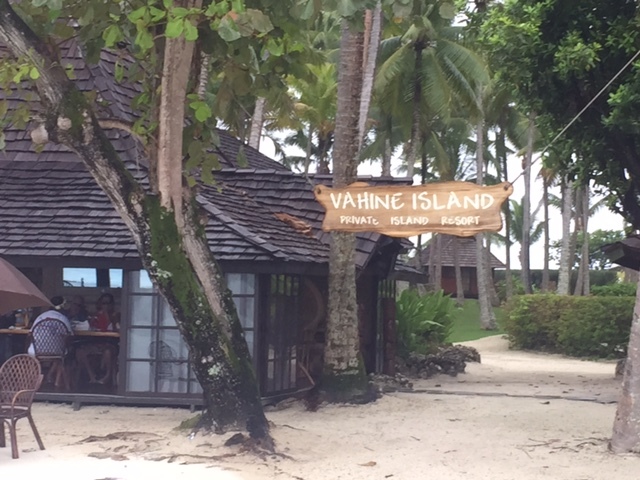 Kayaking and paddle-boarding is also available, and while the three over-water bungalows in the lagoon are unique experiences, the Polynesian-themed beach bungalows, 40 paces away on the windward side of the tiny island, which can be virtually open-air with private porches, are equally exciting and yet restful. The resort island is entirely casual and cashless for convenience – even shoeless! Advice: bring books…and snacks. 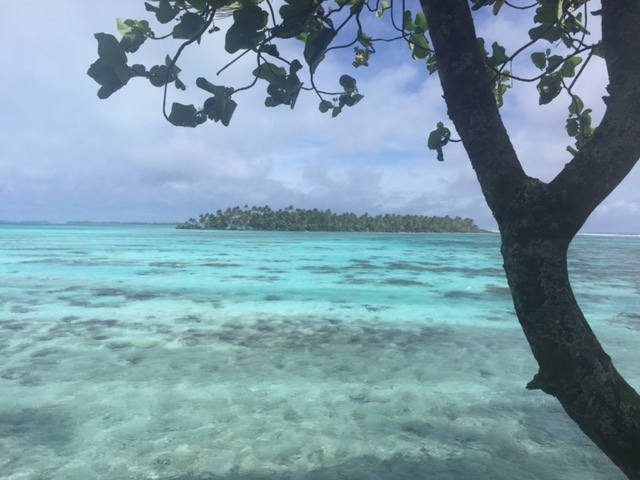 The overall sensation of solitude at Vahine Island is that you’re given a chance to experience the peace, tranquility and beauty of what we can only hope heaven will be.